Are you sure you want to remove Kaia heroine of the 1944 Warsaw Rising from your list? Kaia, Heroine of the 1944 Warsaw Rising tells the story of one woman, whose life encompasses a century of Polish history. 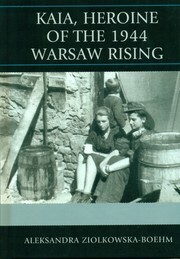 Full of tragic and compelling experiences such as life in Siberia, Warsaw before World War II, the German occupation, the Warsaw Rising, and life in the Soviet Ostashkov prison, Kaia was deeply involved with the battle that decimated Warsaw in 1944 as a member of the resistance army and the rebuilding of the city as an architect years later. Kaia’s father was expelled from Poland for conspiring against the Russian czar. 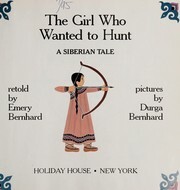 She spent her early childhood near Altaj Mountain and remembered Siberia as a “paradise”. In 1922, the family returned to free Poland, the train trip taking a year. Kaia entered the school system, studied architecture, and joined the Armia Krajowa in 1942. After the legendary partisan Hubal’s death, a courier gave Kaia the famous leader’s Virtuti Militari Award to protect. She carried the medal for 54 years. After the Warsaw Rising collapsed, she was captured by the Russian NKVD in Bialystok and imprisoned. In one of many interrogations, a Russian asked about Hubal’s award. When Kaia replied that it was a religious relic from her father, she received only a puzzled look from the interrogator. Knowing that another interrogation could end differently, she hid the award in the heel of her shoe where it was never discovered. In 1946, Kaia, very ill and weighing only 84 pounds, returned to Poland, where she regained her health and later worked as an architect to the rebuild the totally decimated Warsaw. 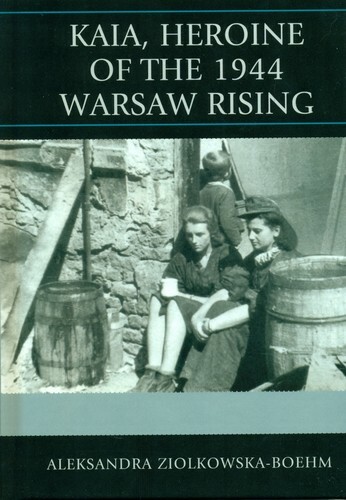 "In the clutter of books arguing the propriety of the Warsaw Rising, whether it should have taken place or not; in the avalanche of statistics and strategies, the flesh and blood people who lived through the heroic trauma are often overlooked. Ziólkowska-Boehm is a fine writer in the grand tradition of reportage established in Poland by her mentor, Melchior Wankowicz and her friend, Ryszard Kapuscinski. This sensitive and moving portrayal of Kaia deserves a place on the same shelf with Miron Bialoszewski's inimitable Memoir of the Warsaw Uprising." "In pages of striking contrast, Kaia moves from a colorful, nearly idyllic life by Polish exiles in southern Siberia earlier in the last century to the graphic horrors of Nazified Poland—and then to the moving aftermath of loss and recovery." — Stanley Weintraub, author of "The Last Great Victory: The End of World War II, July–August 1945"
"Kaia’s memories, excellently recorded and commented on by Aleksandra Ziólkowska-Boehm, give the story of her happy childhood and early architectural work in interwar Poland; her active resistance to Nazi occupation; Soviet imprisonment; and of her part, as an architect, in the rebuilding of Warsaw in postwar communist Poland. It is also the story of her husband, Marek Szymanski, deputy to Major 'Hubal,' commander of a Polish Army unit, who refused to surrender in September 1939. Hubal’s Cross of Military Valor served Kaia both as a talisman for survival—and as a key link to her marriage. This is a 'must read' for all those interested in the history of World War II as it played out in a country fatefully placed between Germany and Russia." "I read Kaia, Heroine of the 1944 Warsaw Rising, I always believed that Siberia was only a terrible place of suffering and dying, where very few of the expelled people survived the primitive conditions and harsh climate. For me, it was an eye opener to read about the role played by exiled Poles in places like Irkutsk and other Siberian cities and about those who went there voluntarily to participate in the building of the trans-Siberian railroad, as well as numerous Poles who became prominent Russian scientists, engineers, and writers. Kaia’s description of her heroic actions is so lively and masterfully presented that I felt like I was going with her from place to place, witnessing the wounding and death of several fighters and following Kaia through the underground canals. I liked very much the large number of photographs of participants." "Ziolkowska-Boehm has provided a fascinating biography of a young woman, beginning with her simple childhood in a small town of Djungaria, near the Russian-Chinese border of the Altai Mountains. People have lived there for centuries, still in yurts, drinking camels’ milk or delicious tea flavored with sheep grease. Kaia spent much of her time roaming in their large estate and extended family. This childhood was soon destroyed, when Djungaria was overtaken by the Bolsheviks in 1921. Some of the Polish families returned to Poland, others stayed. Kaia and her family began their year-long journey, first to Barnaul, then Moscow and finally Bialystok. The family settled on a vast property on the outskirts of town, with two wooden houses, gardens and vast fields. Many ethnic groups lived side by side, with Polish organizations, such as the Falcons, and colorful festivals held throughout the year. By 1933 Kaia had graduated from school in Vilnius and entered the Architecture Department of the Warsaw Polytechnic School, where her brother was already a student. During the 1930s Poland was just beginning to develop its Second Republic and identity. Erased from the map for more than 100 years, the task was daunting. By 1939 Kaia had completed her studies and written her thesis, but was unable to progress further, when her academic advisor died as war broke out. Poland was attacked on both sides, and soon the Soviets had prepared a list of compulsory removal of Poles. Kaia and her friend, Dzida, were able to escape to a railroad station and eventually Zamosc. She was told Polish military officers were being arrested by the Germans. Papers needed to be prepared and civilian clothing found. Thus began Kaia’s life of the underworld, preparing ID cards with seals and photographs, switching to sewing pajamas whenever the Germans approached. Shortly after, the girls returned to Warsaw and to the school apartment, now in shambles. She was able to obtain work with a company helping with the reconstruction of destroyed buildings. Underground schools were established when Polish was banned from the German controlled schools. The Polish secret educational network was a unique form of resistance seen nowhere else in Europe. Kaia’s apartment became a meeting place for resistance workers to gather. There was always a pot of warm soup for the exhausted workers. Kaia was able to visit her parents, Bronislawa and Modest Iljin who were ordered to move to the small village of Ostashki, which was taken over by first the Soviets and Germans, and lastly, the Soviets again. Modest was arrested and sent to Auschwitz, where he died in February, 1941. In 1943 Kaia was assigned to monitor the covert training in sabotage techniques. It included providing explosives, maps and other instructional materials. She was responsible for the safety of the instructors and cadets, and safe escape for the participants. At the outbreak of the Warsaw Uprising Kaia provides a vivid description of the valor, fright and bravery of the workers. For 63 days they fought, avoiding death at all costs. Some were not that successful, with many slaughtered on the streets or tortured in jail. These interviews were provided to the author many years later, but still vivid in Kaia’s mind. She is even able to provide humor in the grotesque conditions. The People’s Republic of Poland was established in 1945, but a state subordinate to Soviet Russia. Many trials were held, in full mockery of justice, resulting in deaths or life imprisonment. This book provides a personal view of the struggle of Poland and its people to overcome the horrors of war. Kaia is a symbol of hope for the future of Poland—her undaunted faith in the freedom of man, her bravery in helping others and her love of life. A heartfelt book." “The book opens with Kaia’s childhood in Siberia, and here the reader is in for a surprise. Siberia, it is revealed, is more than a land of prisons and slave camps. It is a vast country of great beauty, rich in natural resources, and many Poles went there when Poland was still partitioned in search of a better life. Better educated than the local population, they established thriving communities, owned successful farms and other enterprises, and many Polish engineers worked on the Trans-Siberian Railway. True, for decades, the Tsarist regime had exiled thousands of Poles to this distant land and the exiles, once freed from confinement and still not permitted to return to Poland, found solace among their fellow countrymen. The violence and ideology of the Russian revolution put an end to all that and the Poles fled back to their homeland, freed by Piłsudski’s Legions at the end of WWI. The weeks-long train journey home is an adventure in itself, and finally Kaia’s family settles near Wilno (Vilnius). Families are reunited, adults establish new homes, children resume school. Kaia gifted both academically and artistically, chooses architecture for her career. A bright future awaits her and her interesting, animated, highly motivated friends. In September of 1939 all that came comes to an end. The double invasion by Germans and Russians, the cruelty under occupation, the dangers of underground resistance, and finally the horror and brutality of the 1944 Rising. Finally? Their ordeal was far from over. As the Germans retreated the Soviets entered, bringing their second reign of terror with them. Both occupiers focused on destroying the best and brightest, and so it continued. Kaia, and her surviving friends were once again hounded, arrested and sent to the gulag. And yet, she and her husband, Marek Szymanski, returned to a Warsaw in ruins and set to work to rebuild it. They had time for neither hatred nor self-pity. They worked, they traveled, and they enjoyed life, remembering everything but living very much in the present. (…) Note also the social history implicit in the narrative. The friendships and the collegiality of the young men and women, the unquestioned equality, their mutual respect and affection; the value attached to education; the high spirits combined with a strong will; the love of freedom and the commitment to their society. It was a very special generation and Kaia is an inspiring example of it. “Christoph Mick praises a very personal and moving testimony”. This is a very personal book, first published in Polish in 2006. The author, Aleksandra Ziolkowska-Boehm, tells the story of Cezaria Ilyin Szymańska, a personal friend who participated in the Warsaw Rising of 1944. Kaia is the name under which the heroine is known to her friends. The idea of writing about Kaia’s life can be traced back to conversations and an exchange of letters between the author and her heroine. 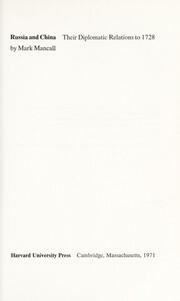 The author has combined quotes from letters with passages in which she retells what she heard from Kaia herself. 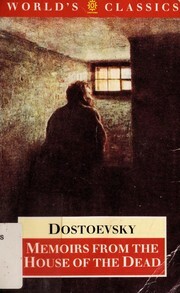 The author uses a collage technique (following the example of Ryszard Kapuścinski) and a ‘mosaic method’ developed by her teacher, the Polish writer Melchior Wańkowicz. Ziolkowska-Boehm also makes use of quotes from other testimonies and from historical literature. The book has 37 chapters, many of them only a few pages long. The chapters consist of thematically arranged stories and reminiscences or summaries of Kaia’s impressions of places she lived at or visited during different periods of her life. A considerable part of the book does not deal with the Warsaw Uprising but with Kaia's life, family and friends before and after the war. 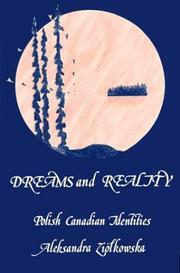 These chapters contain numerous comments by the author and sometimes include extensive quotes from books on Polish history. Kaia’s story – as unusual as it appears to be at first glance – is a typically Polish story. She was born on 2 April 1916 in the small town of Zaysan (today in Kazakhstan) in the western part of Djungaria not far from the Altai Mountains. She and her family were not the only Poles in the region. In the 19th century the Russian government deported many Poles to Siberia or Central Asia as a punishment for socialist or patriotic activities. After the turn of the century a growing number of Poles also had economic motives for emigrating to the north and east of the Russian Empire. One of these economic emigrants was Kaia’s maternal grandfather Bolesław Szemiot, who found employment in Djungaria as an engineer building roads and bridges. Kaia’s father, Modest Iljin, was a student at St. Petersburg University who was sent to Siberia because of his underground activities. Kaia’s parents married in 1908 and Cezaria was born as their second child. After the October Revolution the family continued to live in Djungaria and lived out the years of the First World War and the Russian civil war there. Ziolkowsa-Boehm recounts a few anecdotes from Kaia’s early childhood during these troublesome times. By 1922 life under Bolshevik rule had become unbearable and the family decided to leave for Poland. This was easier said than done and it proved to be a very long journey. The family travelled by train and it took almost a year before they arrived in Białystok where they settled. The following chapters tell of Kaia’s experiences at school and include reminiscences of Kazakhstan and her youth together with a short chapter on animals and their importance in Kaia’s life and that of her family. How these stories are remembered many decades later gives an interesting insight into the processes of remembering and forgetting. Childhood memories are often very vivid while memories of later events often fade away quickly. This can also be seen here. The reader learns much more about Kaia's early years than about her life as a young adult. The main part of the book deals with the Second World War and the German occupation of Poland. Ziolkowska-Boehm does not offer any deep analysis of the reasons and consequences of the Warsaw Uprising. The author quotes some of the research literature but there is a greater focus on quotes taken from the testimonies of participants of the Uprising and linking these comments to Kaia’s own recollections. Kaia’s resistance initially consisted of attending courses held by the underground university. Later she participated in the Uprising and worked as a messenger, a very dangerous role as it entailed helping the different groups of insurgents to keep in contact with each other. Always at risk of being shot by German soldiers or caught in crossfire she risked her life more than once, and all the stories show her to be a very brave woman. These chapters do not exclusively focus on Kaia. They also attest to the heroism of her fellow insurgents, also containing a portrait of Kaia's later husband Marek Szymański and descriptions of friends and acquaintances, interspersed with anecdotes demonstrating the commitment of the insurgents. Marek Szymański had been a captain in the unit of Major Henryk Dobrzański (code name: Hubal) who commanded the last regular unit of the Polish Army still fighting Nazi Germany in the autumn of 1939. Hubal also formed the first underground unit which resumed the fight against the occupiers. Ziolkowsa-Boehm praises the heroism of this unit and of its leader Major Hubal who died fighting against the German occupiers on 30 April 1940. Marek Szymański took over the command of the Hubal partisans until the unit was dissolved in June. Szymański was later highly decorated for his role in the Polish Army and in the resistance against Nazi Germany. One leitmotif of the book is the story of the Virtuti Militari order previously awarded to Major Dobrzański. It was Kaia's task to guard the order and she managed to keep it safe during the Uprising and during her time as a Soviet prisoner. After the defeat of the Uprising Kaia fled Warsaw but she was soon arrested by agents of the Soviet People's Commissariat for Internal Affairs (abridged in Russian as NKVD). She was brought to NKVD Camp 41 in Ostashkov where she remained imprisoned until 1946. The last part of the book covers life in Communist Poland. After she was released Kaia returned to Warsaw where she worked as an architect on the reconstruction of the city. She wanted to lead a normal life, and the book tells about her travels and her work, but also shows how badly former non-Communist resistance fighters were treated. Their resistance against Nazi Germany was marginalised, although it survived in the memory of those who had lived through those difficult times. Kaia’s husband Marek remained loyal to Major Hubal even in Communist Poland. He saw it as his task to preserve Hubal’s memory. The book includes a number of black-and-white photographs, many of them from Kaia's personal collection. There are two appendices at the end of the book. Appendix one consists of short quotes about Siberia by people who were there but also by Americans who were asked what they knew about Siberia. It is not clear how these quotes or the subsequent quotes about the Warsaw Uprising were collected. The quotes from Americans without Polish roots indicate the lack of historical knowledge about Poland’s fate during the Second World War. The book tries to preserve as much of Kaia’s life as possible for posterity and is also a celebration of Polish heroism and a testimony to Polish suffering. The decision to start the Uprising is not criticised but is presented as the result of a decision taken by the resistance fighters themselves. Like Kaia, the author does not question whether the Uprising made political or military sense but views the Uprising as a natural event, not unlike a volcanic eruption. She is right to point out that a posteriori criticism often does not take contemporary circumstances and the explosive mood in Warsaw sufficiently into account. There are some good arguments in support of the opinion that the Uprising would have happened anyway, with or without the approval of the local command of the Home Army and without the consent of the government-in-exile. This, however, misses the point. One of the main problems of the Uprising was its timing – it came too early. The German forces were still too strong. Starting the Uprising in August 1944 was also a political decision. The command of the Home Army and the government-in-exile wanted to liberate Warsaw before the arrival of Soviet troops as they hoped to improve the Polish position in the negotiations with Britain, France, the USA and the Soviet Union. However, the aim of the book is not to participate in these historiographical debates. Ziolkowska-Boehm has created a moving testimony to her friend, whose biography is woven into the history of Poland in the 20th century. 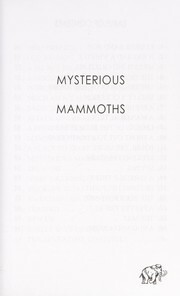 The Polish original won the literature prize of the Association of Polish Writers Abroad (London) in 2007. „This is almost z detective story, based on a real event. One of the heroes of Polish Resistance in the Second World War received a Virtuti Militari Cross. In Soviet occupied Poland the protector of this Cross went to jail. The book narratives how the Cross survived Rising “44, the Soviet Gulag, and the Soviet occupation of Poland, the resurface fifty years later”. Every so often, a true story is better than fiction. This is one of them. Born with an indomitable spirit, courage, determination and will to make the best of circumstances, Kaia was able to go through life accepting all challenges. A challenge did not phase her or deter her…she overcame it. Her strengths carried her through any and all obstacles…the harsh winters of Siberia, achievement of an architectural education, soldiering gallantly against the German occupants of her country, twice wounded heroine of the 1944 Warsaw Rising, rebellious prisoner of the Russian NKVD, and a participant in the rebuilding of Warsaw. After a lifetime of challenge, Kaia lived to see Poland free and independent. Any reader will come away from this book with an admiration for a woman who was a true patriot of Poland ready to sacrifice her life for her country. Kaia’s story could make a great movie! I read Kaia, Heroine of the 1944 Warsaw Rising to help me in my research with an historical fiction novel I'm writing about the scouts in Warsaw who helped during the RIsing. Kaia helped provide more first-hand information on the Rising. For those interested in this time period, and in reading about people who lived through it, Kaia provides a good resource. I also appreciated the pictures in the book. These were pictures I hadn't seen before online or in other books. I also appreciated the fact that Kaia was written by someone who lived and studied in Poland, and understands events from a Polish point of view, but who has also lived and worked in the United States. Writing about cross-cultural events always rings more true when written by someone who has experienced life in both cultures. KAIA HEROINE OF THE 1944 WARSAW RISING shows an extraordinary life under extreme and harsh circumstances. I am surprise I have not heard about the Warsaw Rising 1944 - that was so bravely and so costly. All I have heard was about the year earlier Warsaw Ghetto Uprising. Thanks to the book, I am aware of this special heroic event in Polish history. This is real life history that flows like is happening now. The book is costly but worth every dollar of its cost. The book was purchased by the library I belong to and I just read it. I am Polish origin a few generations back and I find more and more interest in European history. The difference between the author of the book and her heroine is around 35 years, so it is amazing how the young friend described her elderly friend in the book - with kindness and dignity. Also amazing in the end of the book are voices of many about the 1944 Warsaw Uprsing. The majority of people know about the Jewish Ghetto Rising in 1943, not knowing about 1944. In my opinion it is why the title was stressed, to be not confused. I read KAIA HEROINE OF THE 1944 WARSAW RISING. She would have had a fascinating story even without the war! Imagine the changes in Poland to which she was a witness over her remarkable live span. A remarkable story well told! March 27, 2016 Edited by Aleksandra Ziolkowska-Boehm Edited without comment. February 2, 2014 Edited by Aleksandra Ziolkowska-Boehm Edited without comment. December 26, 2013 Edited by Aleksandra Ziolkowska-Boehm Edited without comment.